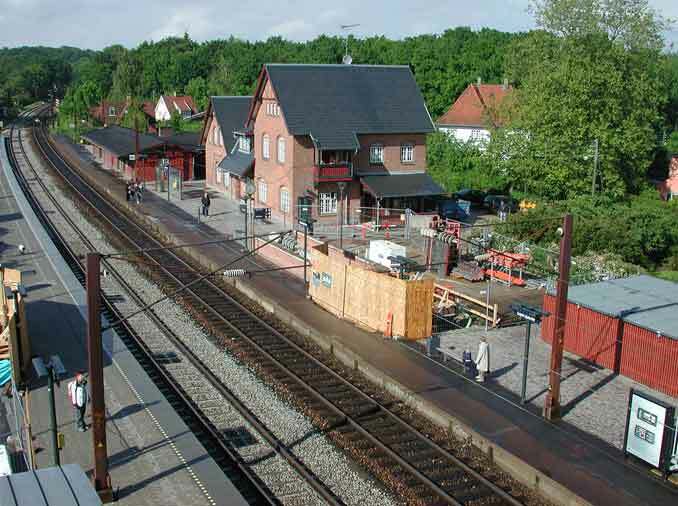 Ribergaard & Munk is located in the old railway station of Espergaerde, 35 km north of Copenhagen. DSB (Danish Railways) moved its ticket office away from the building in 1997 and we moved in two years laterâ€”almost one hundred years after the house was built. The first pigeon hole in Espergaerde was established 1898. It was a small wooden building which still exists; now it gives shelter to the Elsinore Railway Orchestra. In 1920, the pigeon hole was promoted to a station. The main building, built in red bricks in the classic DSB style with ornaments in woodwork and masonry, is from 1904. The architect is Heinrich Wenck who also designed most of the other stations along the so-called â€coastal lineâ€, as well as the Copenhagen Central Station.